Each Magento extension by Aitoc comes with a license that gives you legal right to use our intellectual property. While each Aitoc license is good for good, so to say, the period of free module updates is 6 months. If you wish to get the latest version of the extension you are using, log in to your Aitoc account and go to "Downloads" to renew your license at 25% off. This is an unconditional discount you get as an existing customer. 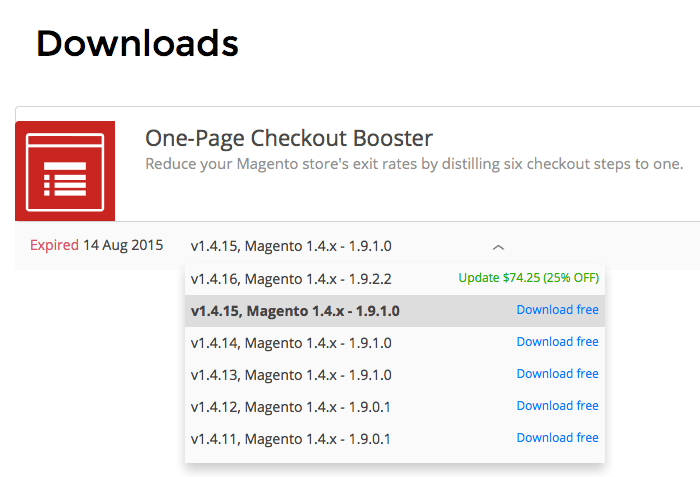 Compatibility with higher versions of Magento. New features released after your free updates expired. Core additions that have been made to the module. The best part is, which each license you update you get another 6 months of free updates - as if you had just purchased a new Aitoc license!